From the 13th – 14th October 2018, the Academy of Ideas’ annual Battle of Ideas festival of debate took place in London’s Barbican Centre, addressing a wide array of topical areas in a refreshing and thought-provoking fashion. 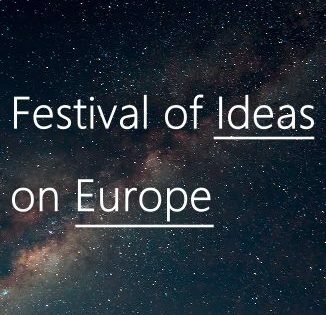 This playlist features the live stream footage from this year's Battle of Ideas, to find out about other media from the festival, click here. To select videos in the playlist, click on the symbol with the three lines in the top right (desktop)/left (mobile) of the video window. Fifty years on from the protests and turmoil of 1968, today’s turbulent times are at least a match for those of the sixties. In 2018, Western societies appear to be in the midst of seismic change. From the apparent tearing up of the international rule book on economic and political relations to the emergence of new “populist” parties challenging established political norms, everything seems in flux. Undoubtedly, we face novel challenges. Ten years after the financial crisis, we confront the threat of trade wars while economists and politicians seem incapable of solving our longstanding productivity puzzle. Traditional liberalism seems to be eating itself, with today’s “progressives” leading the charge in illiberal assaults on free speech. The UK government’s sluggish response to delivering Brexit seems driven by avoiding disruption at all costs, yet the vote seemed to reflect a desire for a shake-up. Big Tech and social media, once heralded as offering exciting possibilities, now stand accused of subverting democracy, making our children mentally ill, degrading political discourse and facilitating hate speech. This turbulent atmosphere can be unsettling. The future feels uncertain, the old guidelines seemingly useless. In these circumstances, it can be too easy to become confused and fearful. But, we should be wary of scaremongering, such as when commentators compare current events to pre-Nazi 1930s Germany or talk ominously about toxic, irreconcilable civil tensions. Perhaps we need a new approach: to grasp such changes as an opportunity, as a way of escaping social and political stagnation. At the very least, the unravelling of the technocratic era of TINA – there is no alternative – presents us with new possibilities with which to reboot society. Political norms may have become unstuck, but that does give us all the chance to shape the future. The 2018 season at the Barbican – our festival home – has adopted the theme The Art of Change, precisely to explore how artists respond to, reflect and potentially effect social and political change. In turn, this year’s Battle of Ideas aims to understand today’s turbulence and encourage attendees to grasp this historic moment with hope and optimism. However, just when it seems opportune to assess new ideas about the best way forward and listen to the perspectives of others, too frequently people retreat into echo chambers or lash out against adversaries. In public life, it seems that our “tribes” keep to their own, reinforcing each other’s’ views and rarely listening to, never mind understanding, the views of others. When we do interact, it is more often to trade insults – fascist, cuck, misogynist etc – than to seriously argue, even empathise, with each other. The Brexiteer / Remainiac divide can feel insurmountable. And, now that the culture wars have arrived in the UK with a vengeance, antagonism around identity politics seems perniciously divisive. Not only are those with a different point of view vilified – rather than challenged through debate – but there are frequent attempts to silence opponents from speaking at all, especially if taboo topics are broached by someone from the “wrong” identity. The Battle of Ideas strives to break out of these identity silos. Indeed, exploring the identity wars is one of this year’s festivals key themes, from feminism after #MeToo to the new politics of race. Our 400-plus international speakers bring with them a wide range of expertise and points of view and come together in good faith to test their ideas in public and to enhance the quality of public discourse. This is not an invitation for you to come along and passively listen to panels of experts. One of the most distinctive aspects of the Battle of Ideas is the level of audience engagement, where the most searching questions and smartest insights often come from the floor, not the panellists. If you are worried about the quality of public debate and want to really be part of the discussion, come along and join in. We aim to kick-start passionate, serious-minded public conversations with free-thinking, inquisitive, opinionated attendees. Between us all, we will try and untangle everything from the bastardisation of political language to understanding international relations – both beyond and including Brexit. We’ll be tackling the ethical rows that embroil science, medical research and technology. We will probe how change is affecting the modern family, ask thorny questions about arts funding, examine the impact of drill music on violent crime and much more. 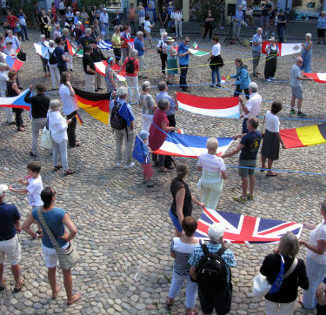 Since 2005, the festival’s slogan has been free speech allowed, a crucial retort to today’s climate of offence-taking. If you’re willing to challenge and be challenged, and leave the comfort of the echo chamber, see you at the Barbican on the 13th & 14th October. Click on the following links to find out more about our featured debates at this year’s Battle of Ideas. A full list of partners can be accessed on the official Battle of Ideas website by clicking here.